The Santa Cruz mountains are a stunning destination for campers looking for a California coastal getaway. From the Pacific Ocean, the fog rolls across valleys with cascading waterfalls and groves of old-growth redwoods to grassy ridges. 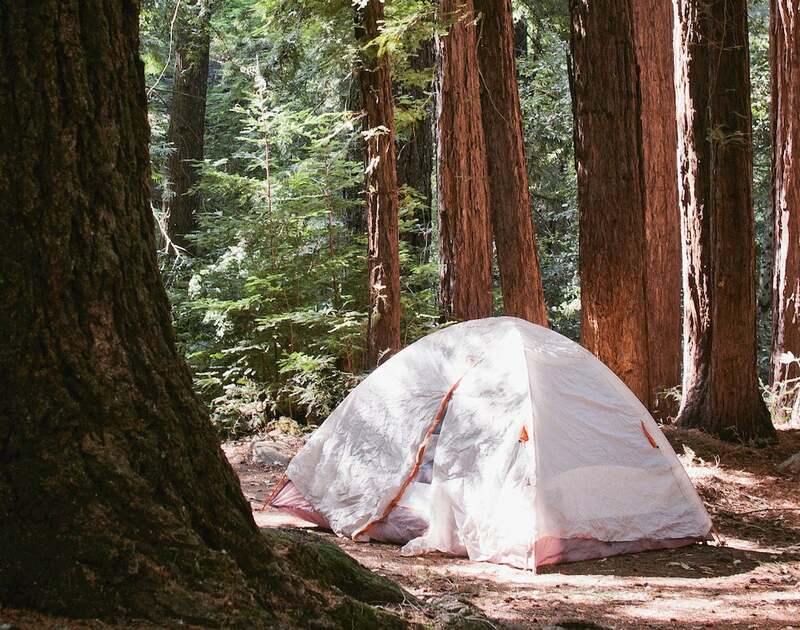 This region, which covers much of the coastal and mountainous area south of the San Francisco Bay Area, contains a diverse environment of redwood forests, golden coastal beaches and mountainous peaks, as well as plenty of protected public lands perfect for your next Santa Cruz camping trip. The popularity of camping in Santa Cruz doesn’t just come from it’s beautiful natural setting. For Bay Area campers, it’s a short drive—down some winding roads—to get away from eight million neighbors. It can be hard to find an available spot, especially during the peak summer weekends, so plan your trip months in advance with reservations. Don’t stress too much however, as Santa Cruz offers enough camping options for nearly everyone to find a site. 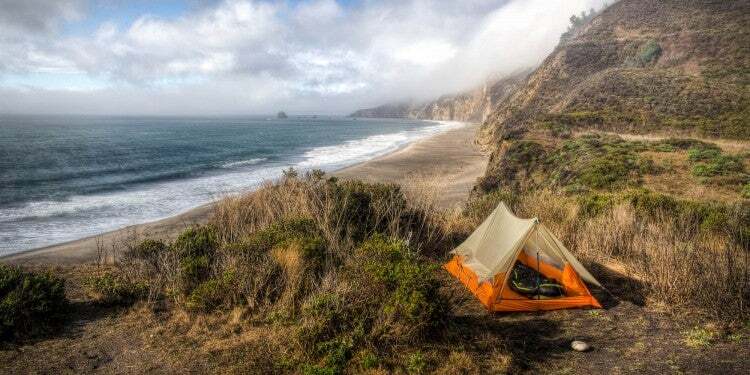 This list collects just a few of the numerous Santa Cruz camping options, reviewed by campers on The Dyrt, that will take you from the mountains to the ocean. Keep in mind many of these campgrounds are closed in the winter because of rains, so make sure to check with the relevant authorities for the latest status. Image from The Dyrt camper Adventure M.
Big Basin Redwoods State Park is California’s oldest state park. It’s also home to the largest grove of redwoods south of San Francisco. You’ll find giant trees who have called this area home for nearly 2,000 years. Nestled right among them is a 142-site campground offering tent and RV spaces. 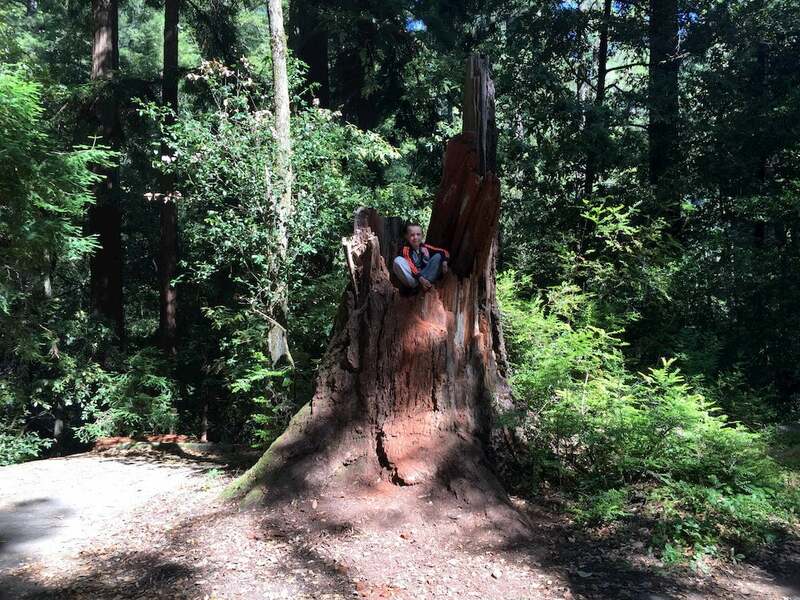 The campsites offer fire rings, bear canisters and picnic tables—and plenty of redwood logs and fairy rings for kids to play around. Camping in Big Basin Redwoods State Park gives you access to 80 miles of trails, including the popular Skyline-to-the-Sea three-day backpacking trail. You can also hike to the beautiful Berry Creek Waterfalls. “Even every single campsite is breathtaking so you can’t lose… I felt like a kid exploring this place, so small and insignificant in the big scheme of things. I will never forget this park, it will forever hold a spot in my heart and soul.” —The Dyrt camper Brittany S.
Butano State Park might not get as much attention as other Santa Cruz camping options because of its relative small size, but that contributes to the park’s off-the-beaten-path feel. The park’s Ben Ries campground is located deep in the Little Butano Creek Canyon, in the heart of the campground. 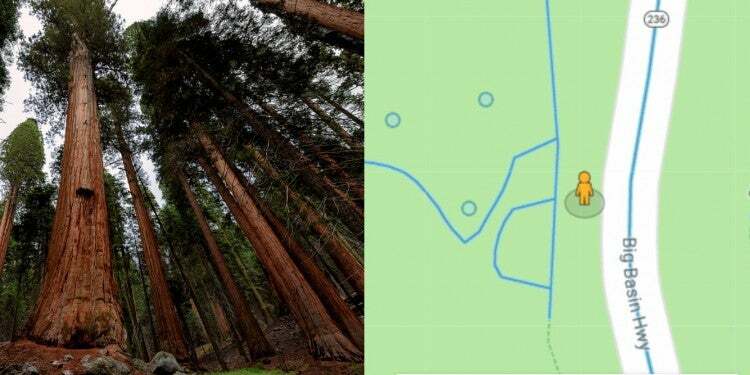 You will find 21 drive-in sites and 18 walk-in sites nestled among the lush ferns and redwoods, home to banana slugs, newts, squirrels, woodpeckers and owls. There are basic amenities — flush toilets and dish washing stations, but no showers. Hiking trails start directly from the campground. 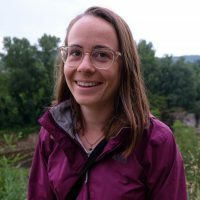 “There are ferns growing all over the place, and brilliant yellow banana slugs cruising around in slow motion, and loads of mushrooms if you go in the right winter conditions (early season rain). This is a great spot any time of year.” —The Dyrt camper Kelly M.
Image from The Dyrt camper Megan B. New Brighton State Beach is a popular 95-acre park in Capitola along the Monterey Bay. Harbor seals, sea lions, dolphins, whales, and sea otters can be spotted in the water while you camp just above them on a bluff. You can learn about human and animal migrations on this portion of the coast—like the summer and fall arrival of sooty shearwaters—at the Pacific Migrations Visitor Center. The campground usually fills up six months in advance. 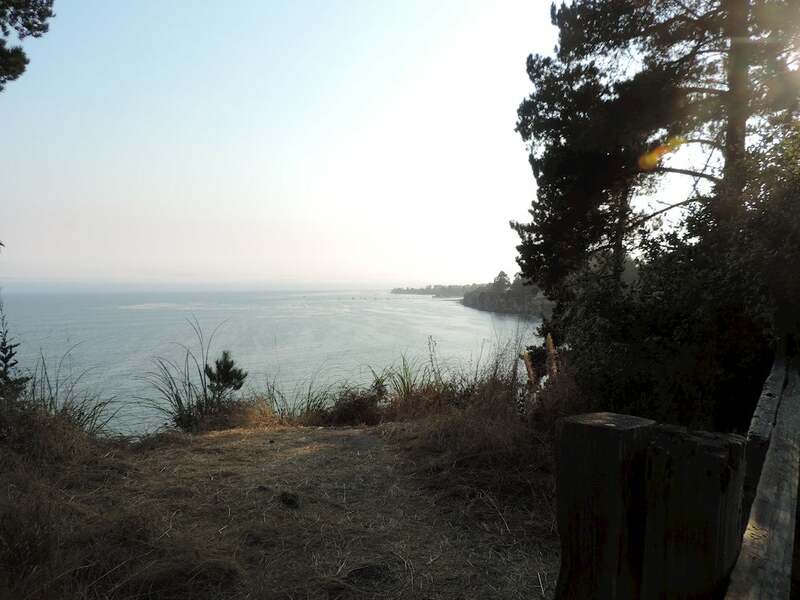 There are over 100 sites on a wooded bluff overlooking the ocean, including hook-up sites. There are rings for fires, usable only if you buy firewood on-site. It’s also a short drive to Santa Cruz proper for some nightlife. “Amazing views and setting in this campground. Stand up paddle board in the cove or go for a surf a little bit down the road… One of California’s better state park!” —The Dyrt camper Megan B. Image from The Dyrt camper Kate L.
Portola Redwoods State Park is a popular getaway for Santa Cruz camping from the hustle of nearby Silicon Valley. The heart of the park is its grove of redwoods and the life around its two creeks, Fall and Pescadero. Start at the stunning visitor’s lodge and head to some of the park’s hiking trails to take in the waterfall views and lush forest. “If the road leading into Portola doesn’t scare you off you’re in for a bit of a treat. Located in secluded redwood forest the campground is quiet and serene. Fallen trees make for great climbing for the kiddos. 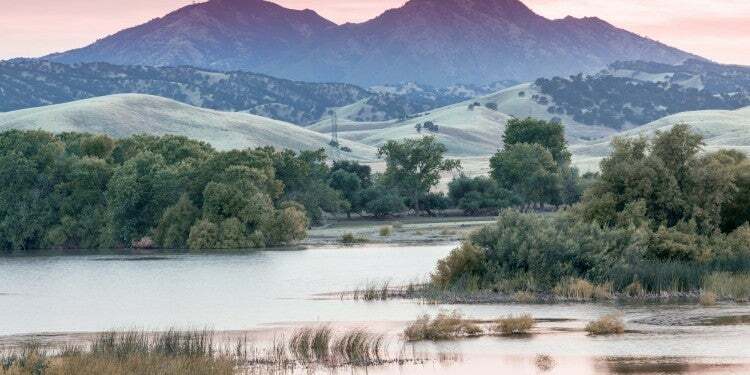 The creek with sandy shore is great for an afternoon cool down.” —The Dyrt camper Liz M.
Santa Clara County manages the Mount Madonna County Park, located between Gilroy and Watsonville. Included in the 4,600-acre park are redwood forests, but also oak woodland, dense chaparral and grassy meadows. 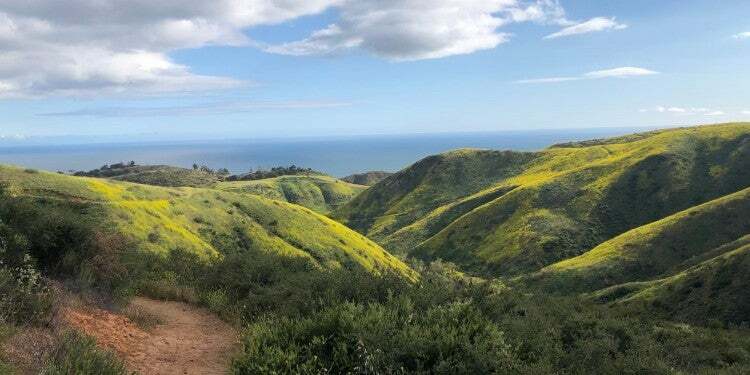 It’s one of the more activity-filled parks in the region; both hikers and equestrians can enjoy the 14 miles of trails before taking advantage of historical and cultural interpretive centers nearby. Campers can even take advantage of the many events held here, including weddings! Camping in Mount Madonna is available at any one of the 118 drive-in and walk-in reservable campsites spread throughout four campgrounds. RV campers have a choice between 17 sites with partial hookups, all with access to a dumping station. There’s even some yurts available for reservation for those glampers who would prefer a mattress! “A beautiful spot in a redwood forest. Zero cell coverage or Internet. Handy to Sunset Beach and to legendary farmlands. 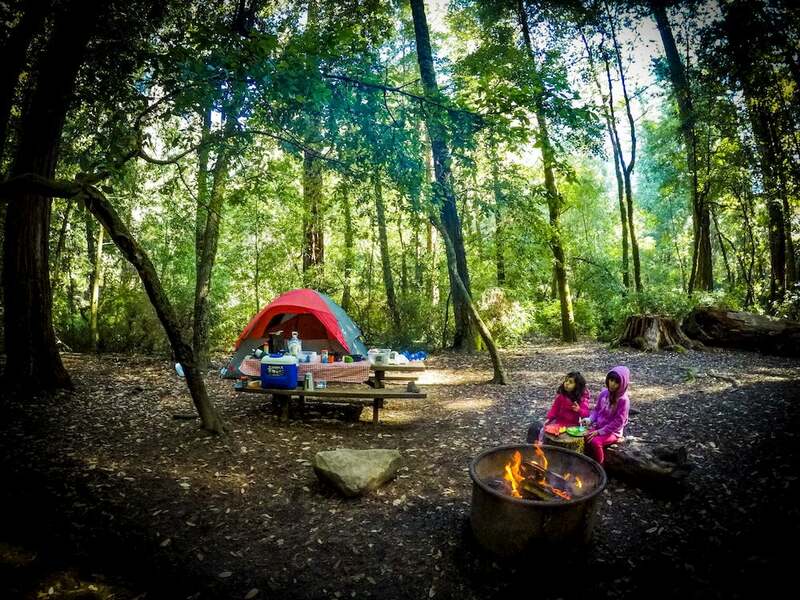 Nice roomy campsites.” —The Dyrt camper Jeffrey C.
Sanborn County Park—managed by Santa Clara County—is so close to the South Bay you could think you’re camping in someone’s backyard, but the park still offers a remote feel to campers. Part of that is the walk-in-only tent campground, meaning you have to carry all your stuff from the parking lot up a gravel path to the campsite—but it’s very short. The park provides help to haul your gear, and there are lockers near the campsites. The campground is a popular jumping-off point for the Skyline-to-the-Sea trail, and is close to the hiking-friendly Castle Rock State Park. For RV campers, there’s a campground at the same parking lot. It’s open year-round with full electric and water hookups and a dumping station. There are over 22 miles of trails in the park, so get those hiking shoes ready! In the summer, the park is also home to Silicon Valley Shakespeare, an outdoor theater company. “I kind of like this setup since it makes it feel a little more remote and you don’t get bothered by cars constantly passing your site… The campground is full of magnificent redwoods with a creek passing right through.” —The Dyrt camper Kali C.
Henry Cowell Redwoods State Park lies just outside of the city of Santa Cruz. It combines the best of both worlds, the ocean and the forest. Book a cliff side campsite for open vistas, or one nestled among trees for shade. For a relatively small park, the area packs a punch in terms of diversity of landscape, from chaparral to a grove of old-growth coastal redwoods to the Santa Cruz Sandhills habitat—ancient marine deposits now home to endangered species. The Graham Hill campground is accessed east of Felton. There are 107 reservable sites, flush toilets and showers, and a camp store. “This is an awesome spot to camp with your family. Hiking and biking trails, nature walks, showers, flush toilets, it has it all for the not so campy campers.” —The Dyrt camper J.D.E. Image from The Dyrt camper J.D.E. Around 30 minutes south of Santa Cruz lies a beach that isn’t that crowded—a rarity in this region. The Sunset State Beach is a popular spot for Santa Cruz camping, but maintains as remote of a feel as possible on a California beach, especially during the off-season or weekdays. It is surrounded by strawberry fields. There are dozens of dune-protected family sites for tents and RVs (no hookups though) on a bluff. It’s a short walk down some stairs to the wide open beach. Remote-controlled glider enthusiasts have a port to fly their planes. “Nice lots on a cliff above the beach protected from the wind by some doug firs and eucalyptus. Beach is long and expansive with very few people on an average day. Nice place to take a stroll and relax… Sometimes there’s a decent sandbar for surfing. Always had a good time at this campground.” —The Dyrt camper Mauriel O. 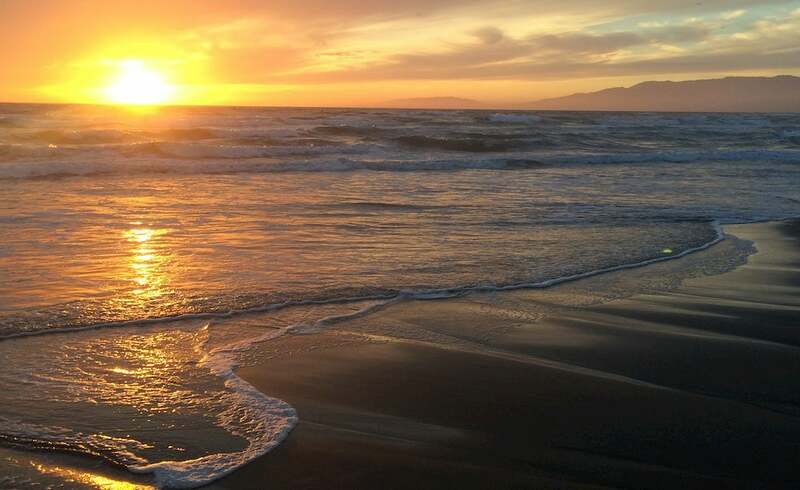 Nearby Sunset State Beach is yet another beachside option for Santa Cruz camping; Manresa State Beach. You’ll have to haul in your gear from the parking lot to one of the 60 tent-only campsites on the grassy Manresa Uplands overseeing the beach. That gives the campground a more remote, less-crowded feel. You’ll be rewarded with sweeping views of Monterey Bay, the sandstone cliffs and the forested hills of the Monterey Peninsula. There are nice bathrooms and showers available. “I’ve been to this campground a handful of time, and keep coming back. Walk up sites, clean restrooms, private beach, you can bring the pup and it’s off the beaten track a bit. There are a LOT of raccoons, so pack up your stuff well.” —The Dyrt camper Lizzy C.